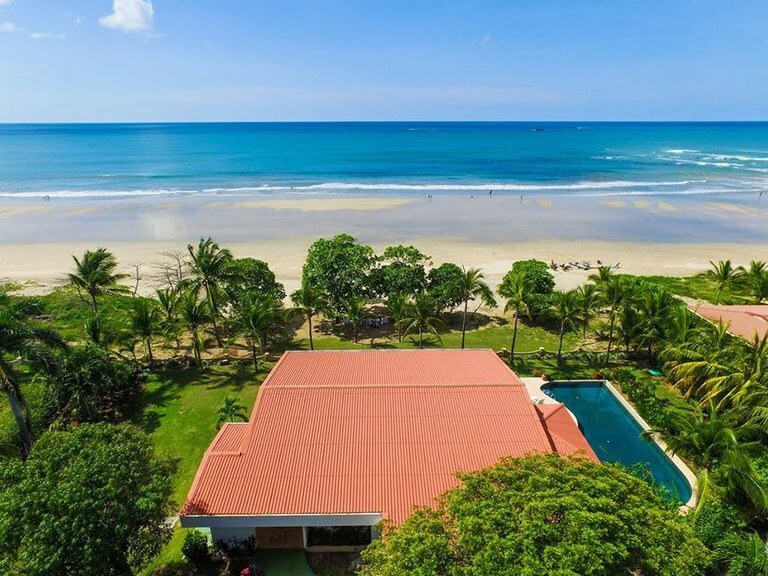 Carmela by the Sea is a private, cozy, beach front home in Playa Grande, one of the best surfing beaches in Costa Rica and home to one of the biggest turtles in the world. This 3 bedroom home has a fully equipped kitchen, private swimming pool, daily maid service, night guard, outdoor palapa with big gas BBQ and much more. Here you can enjoy amazing ocean vistas and stunning sunsets viewable from virtually every living space while being only meters from the beach. This home offers everything you need to have a great family vacation, a good time with friends, or for a romantic get away. This breathtaking beach front estate is truly one-of-a kind. Casa Playa Blanca or 'home on the white beach' was given its name by our two sons. It is the only home directly on Flamingo Beach to sleep 14 people. This newly completed luxury home is 5,500 square feet. It has 5 bedroom suites, each with a private bathroom, making this home a perfect place for entertaining and accommodating multiple families. Each suite has a view of the beach and opens to the outdoor courtyard area with swimming pools, BBQ rancho huge and beach view Jacuzzi. The courtyard lounging and pool activities for all ages. Contact us NOW for 2018 rates! An unprecedented euro-contemporary gated estate sitting atop the cliffs of Playa Flamingo, Costa Rica's premier destination in Guanacaste. With 3 bedrooms in the main house and 2 more in a separate guest house, this is beyond a home. 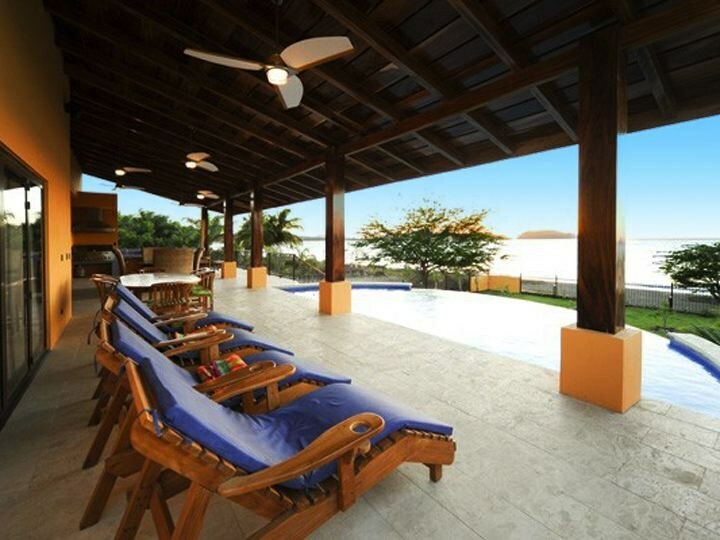 Villa La Sata combines the flavor of Costa Rica with contemporary technology and sumptuous luxury. Contact us NOW for 2018 rates! This breathtaking luxury estate is truly one-of-a kind, located right on the beach of Hacienda Pinilla, just south of Tamarindo. 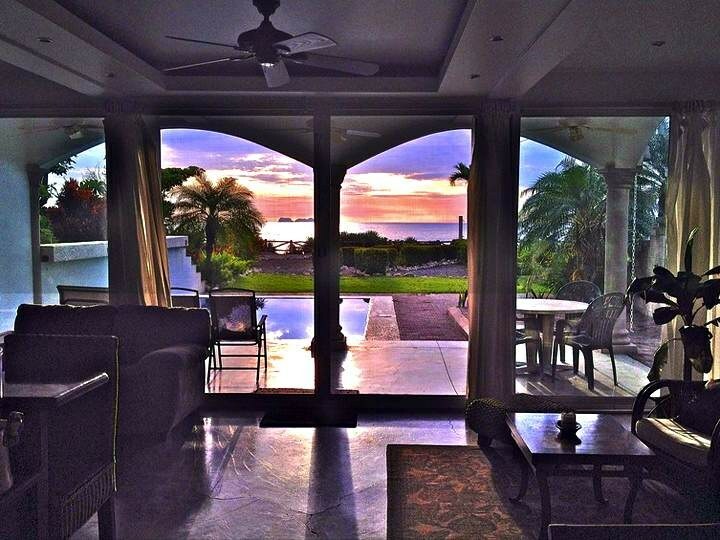 Enjoy your own private vacation paradise inside one of the premier golf resorts in Costa Rica when you stay at this luxurious 4 bedroom, 5.5 bath beachfront vacation home with a separate apartment on the ground floor with a king bedroom suite, bathroom and kitchenette. The villa is set above the beach so that while lounging in your opulent ocean-front pool terrace, you can watch the waves crash on the white sand shores. And when you're not enjoying the many amenities this home offers, you can hit the links on a world class 18 hole golf course, play a set or 2 on the tennis courts, work out in the gym, enjoy the spa or visit the private beach club and the JW Marriott resort. Casa Serena will enchant you. Contact us NOW for 2018 rates! You'll love everything about this 4 bedroom villa, from the beautiful ocean views to the private swimming pool to the tranquil beach. And that’s just outside! Smaller groups can choose to rent either the upper or lower villa separately at a reduced price! Inside this beachfront vacation villa you’ll find a beautifully decorated 4 bedroom, 3 bath home complemented by a large gourmet kitchen with granite countertops, an island and bar area with bar stools for dining, an ocean view living area with a flat screen cable TV and stylish furniture with an L-shaped couch that is also a pull-out bed. The entire home has air-conditioning, fans, cable TV and WiFi internet.Contact us NOW for 2018 rates! Spacious and airy 5 bedroom vacation villa right on the beach available for short term vacation rentals only. 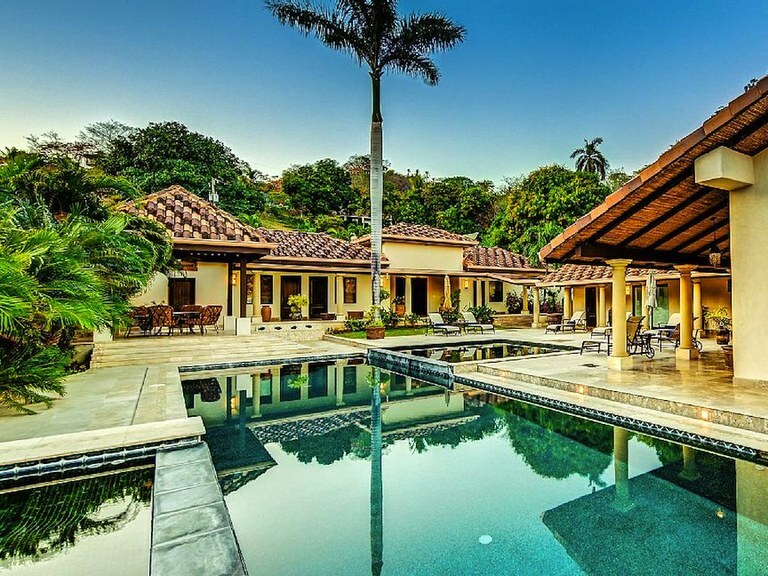 This villa has all the comforts of home, but in beautiful and tropical Playa Potrero, Costa Rica! The infinity pool looks out over the ocean and is complemented by an outdoor bar with refrigerator, sink and BBQ grill and a huge partially covered terrace with patio furniture for lounging, reading and dining. All this plus full-time service of the live-in staff, who will see to your every need while respecting your privacy. Contact us NOW for 2018 rates! A wonderful beach front 2 bedroom, 2 bath Casita on a huge property. Views & sunsets from the upper level are incredible. It has a full kitchen and living room and it's located on a large private property, right on the beach in fabulous Flamingo, Costa Rica. Short on frills and luxuries, but it's long on location, comfort and convenience making this a very affordable vacation rental alternative. Contact us NOW for 2018 rates! 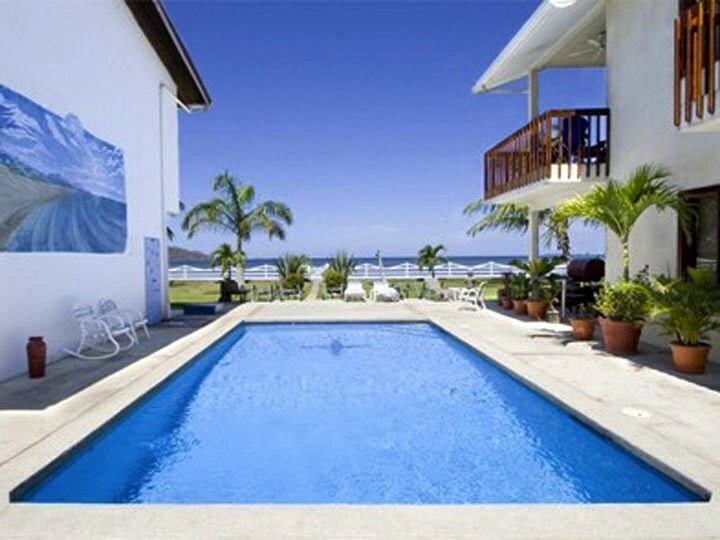 This house with 4 bedrooms and 4 bathrooms is located in Playa Flamingo, Guanacaste Costa Rica, in the county of Santa Cruz. 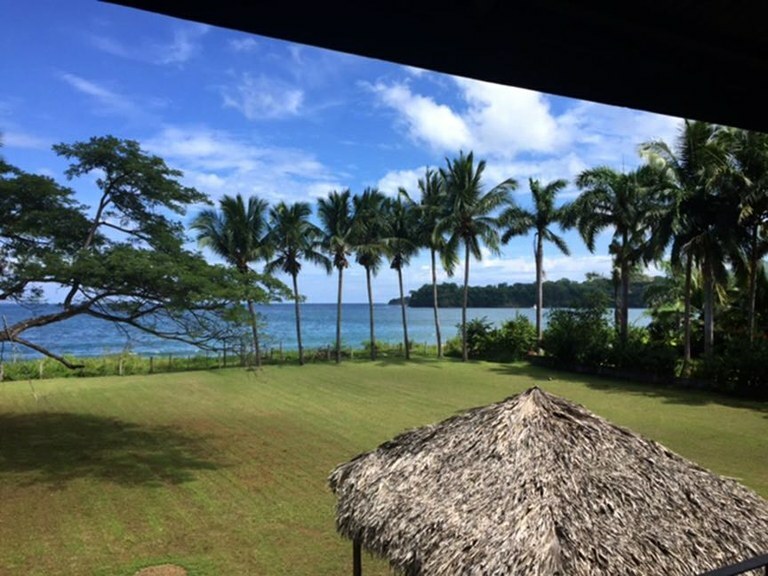 This oceanfront property with beach and ocean views is situated in the tropical dry forest of Costa Rica. The land area of this house is 1,00 square meter (10,76 square feet), and it has a living space of 557,42 square meter (6.000,00 square feet). This house has air conditioning through multiple wall units. This house is available furnished. This property includes a coffee maker, a stove, a stove hood, an oven, a washing machine, a dishwasher, a microwave, a refrigerator, a grill, a dryer and a toaster. The property also features a private pool and an in-ground pool and a jacuzzi. This house comes equipped with cable internet and standard cable TV and TV. Sorry, no pets allowed. 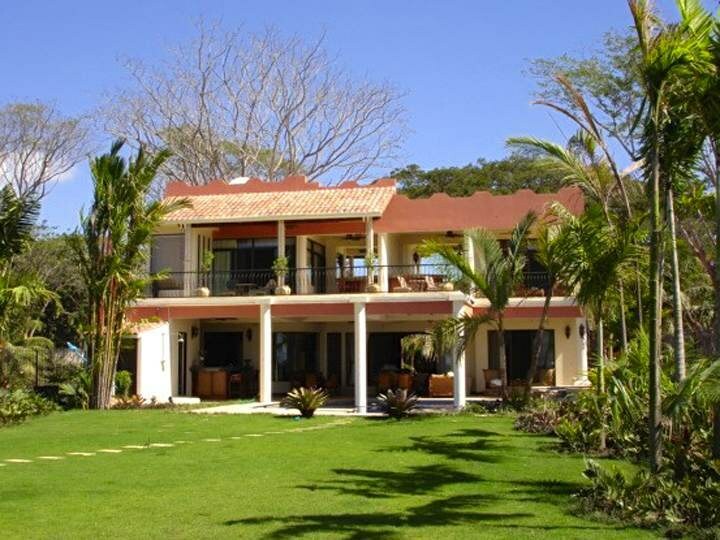 This house with 5 bedrooms and 6 bathrooms is located in Playa Flamingo, Guanacaste Costa Rica, in the county of Santa Cruz. 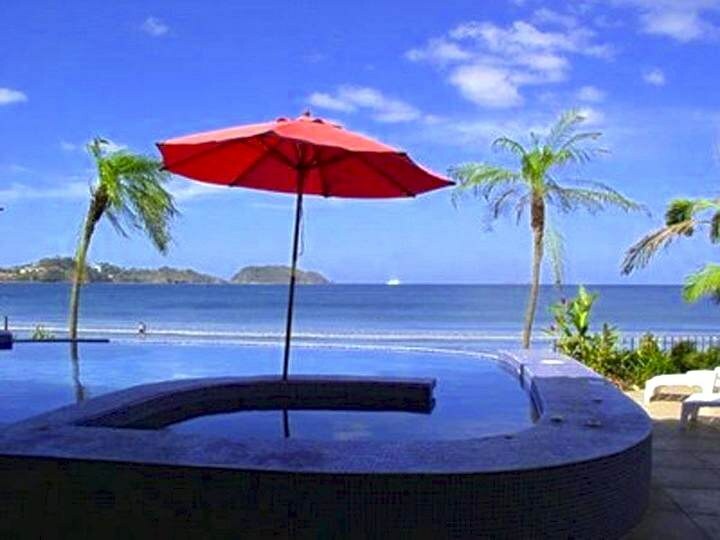 This oceanfront property with ocean view is situated in the tropical dry forest of Costa Rica. The land area of this house is 1,00 square meter (10,76 square feet), and it has a living space of 650,32 square meter (6.999,96 square feet). This house has air conditioning through multiple wall units. This house is available furnished. This property includes a coffee maker, a stove, a stove hood, an oven, a washing machine, a dishwasher, a blender, a microwave, a refrigerator, a dryer and a toaster. 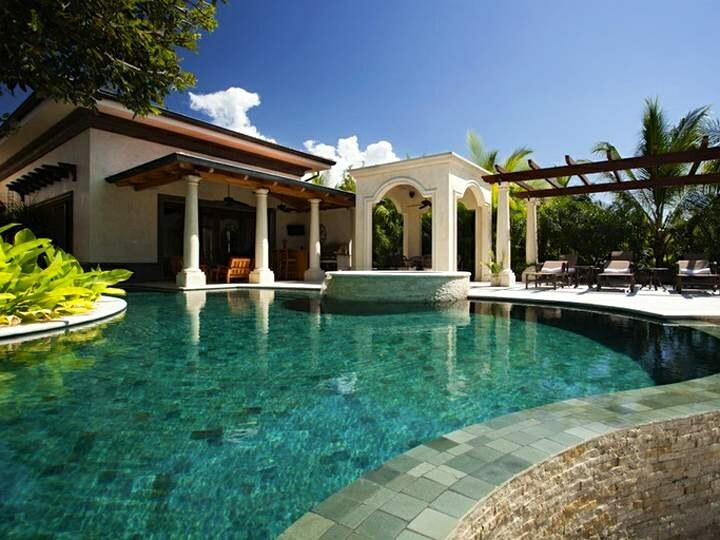 The property also features an infinity pool, a private pool and an in-ground pool. This house comes equipped with cable internet and internet and standard cable TV and TV. Sorry, no pets allowed.